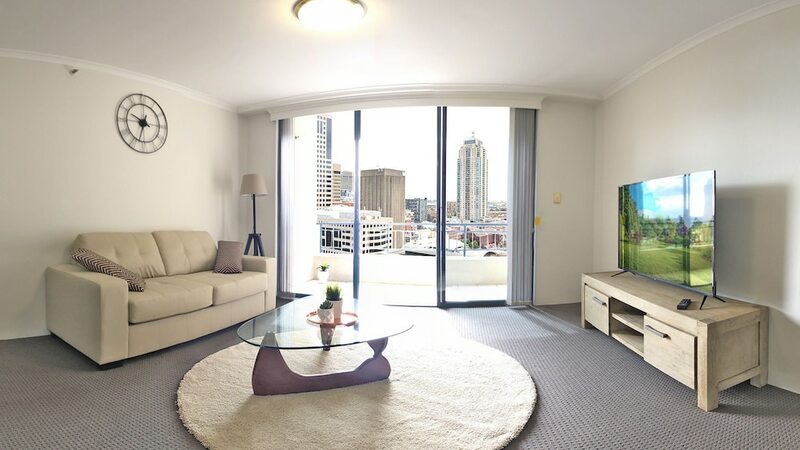 With a stay at MyHoYoHo Apartments Haymarket in Haymarket (Sydney Central Business District), you'll be steps from Capitol Theatre and 12 minutes by foot from Sydney Town Hall. This apartment is 0.6 mi (0.9 km) from Hyde Park and 0.7 mi (1.1 km) from Sydney Tower. Make yourself at home in one of the 2 air-conditioned rooms featuring microwaves and flat-screen televisions. Complimentary wireless Internet access is available to keep you connected. Bathrooms have showers and hair dryers. Featured amenities include laundry facilities and an elevator (lift). A roundtrip airport shuttle is provided for a surcharge (available 24 hours).